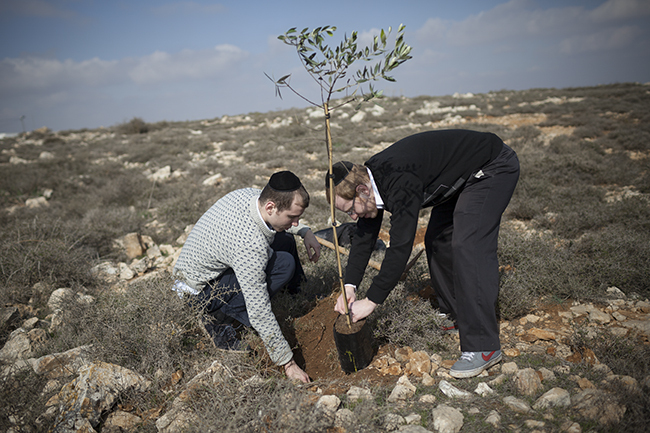 Eish Kodesh, Judea and Samaria – 17th of January, 2014: Israelis gathered in Eish Kodesh, a small outpost on the hills between Jerusalem and Nablus, to plant trees for the holiday of Tu Bishvat, the Jewish “New Year of the Trees”. 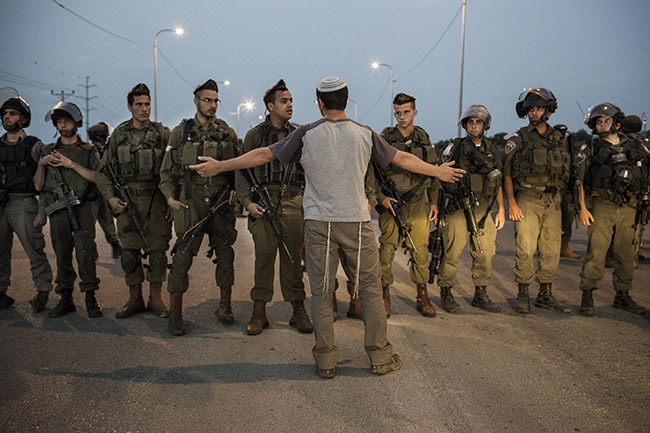 Tapuach Junction, Judea and Samaria – 30th of April, 2013: An Israeli settler argues with Israeli security forces preventing him from reaching the Palestinian village of Yabta during a demonstration calling for better security for Israelis following the fatal stabbing of Eviatar Borovsky, father of five and resident of the Yitzhar settlement, at the same location earlier that day. 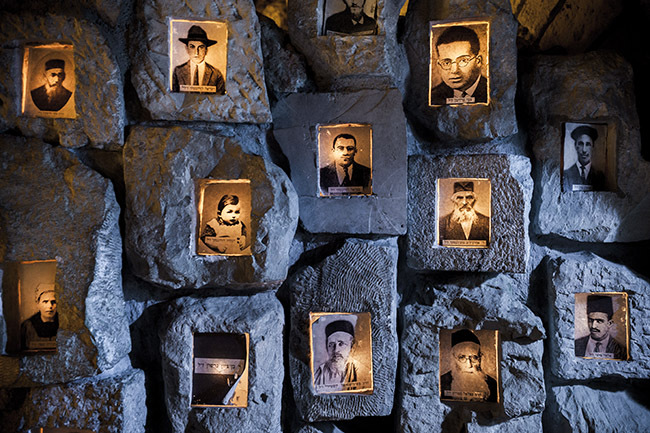 Tekoa, Judea and Samaria – 5th of March, 2013: Menachem Fruman, the chief rabbi of the Jewish settlement of Tekoa, died at the age of 68, leaving behind his wife Hadassah and 10 sons and daughters. 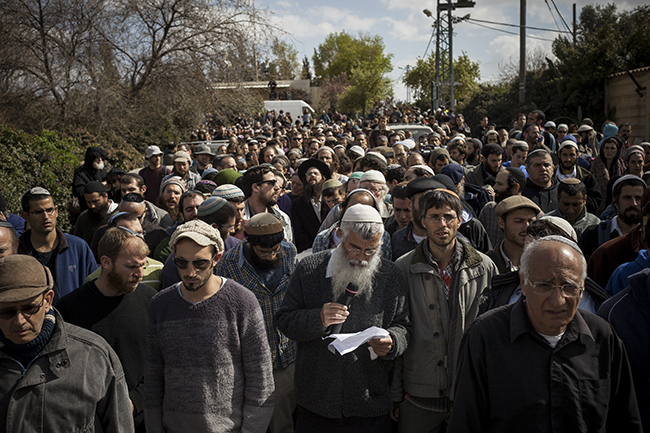 His funeral was attended by thousands of people, both religious and secular, left-wing and right-wing, from all across Israel. 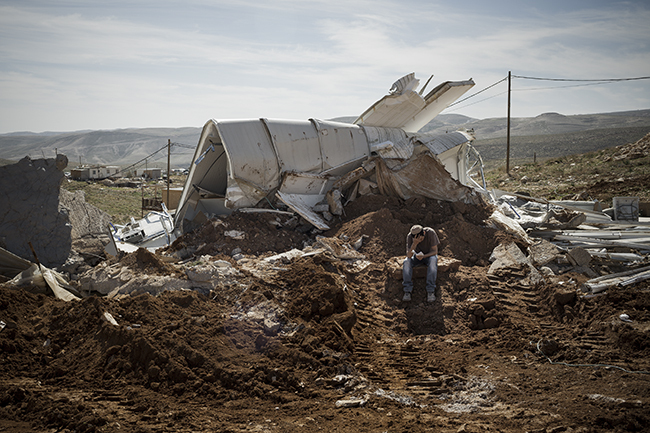 Ma’ale Rehavam outpost, Judea and Samaria – 2nd of February, 2013: Praying on the rubble of a caravan (portable house) in the Ma’ale Rehavam outpost hours after its demolition by Israeli authorities. At 8:00 a.m. a large police force showed up and without producing any demolition order or giving any explanation proceeded to demolish some eight caravanim, making about a dozen people homeless.